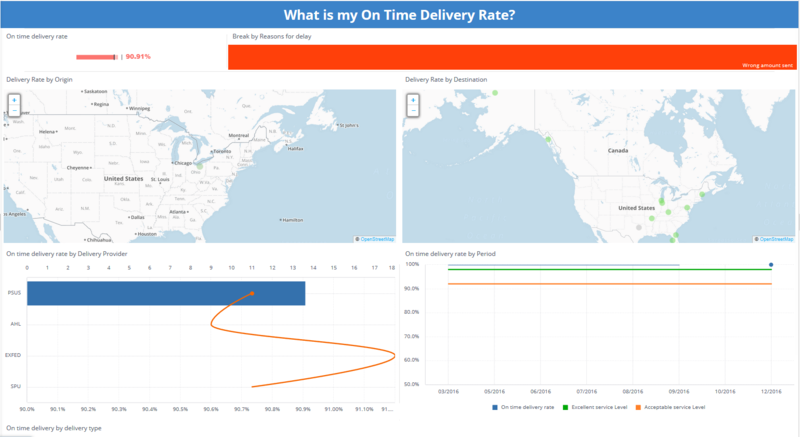 Track the metrics that matter to your supply chain department. A Supply chain company’s decision to reduce spend must be driven by the data to consolidate suppliers and negotiate procurement contracts company wide. By effectively utilizing their procurement data across all departments, a supply chain analysis can compare product spend across suppliers while analyzing their percentage of contract spend. Procurement can isolate expensive suppliers and negotiate contracts much more effectively by consolidating suppliers. Savings opportunities can be identified when looking at the minimum price paid and last price paid and comparing it to quantity. 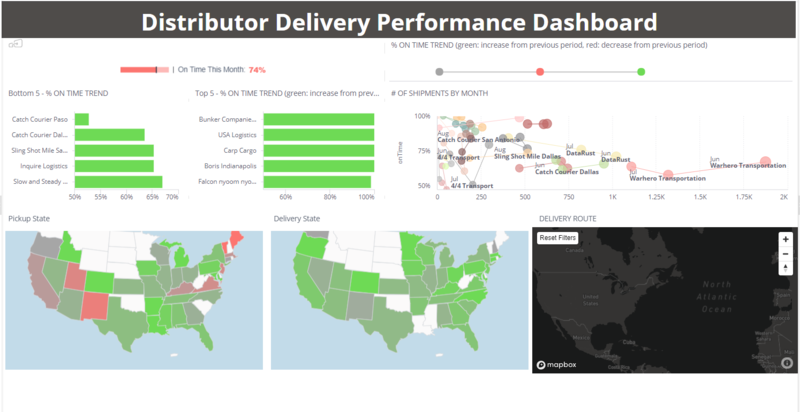 A distribution dashboard Provides high-level transparency of distributor routes, the number of shipments, and timeliness of shipments.